Keeping our objective in focus, we can suggest this simple definition of the central theme of the Bible as: “God’s work in human life, its history; and His work through Christ and his Church.” Critical grasp of God’s work and the message in the Bible and the ability to express it properly is essential in effective witnessing. It is this that this series provides. Defining it first for ourselves is very critical. Otherwise, we will be roaming all over the Bible aimlessly unable to say precisely what the Bible says. The message, as the statement indicates, covers the subjects of God; God’s continuing work through the human history; of God’s work in Christ on earth and since Christ through his Church into thework of the Kingdom of God. This sets the scope of the Biblical understanding in appropriate theology so that the ‘story’ could be related with the people we seek to reach. In the present day ‘evangelistic’ tradition the emphasis is on ‘salvation in Christ’ only, and it almost ends there. Even so, God’s mind (will), word and work that is continuing till the Last Day of life on earth is wholly overlooked except for incidental reference. Such story we tell without this critical aspect makes the story of Jesus loosely hanging without proper connection to God the Creator, the Church and the Kingdom’s task as its extension. Christ’s story would be absolutely relevant when it is said as the continuum of the work of the Creator. In so doing, we are clearly talking about God’s continuing work (see pertinent sections in John’s gospel, Chs. 3, 5, 6, & 8). This attempt addresses the topics that are utterly neglected in other faiths. The subject - ‘God the Creator, God of the Universe’ is the great omission we face in our conversations with the others, that even we, unwittingly allowed to become irksome. Most of the wor has forgotten this aspect of God since the ancient times. This dark area has bred idolatry. As such, the power of the story of Jesus Christ must be shown in the power of God’s work since the Creation; otherwise our telling the story of Christ lacks impetus. The work of the Just God in His “Judgment on Jesus for humanity” is only feebly explained; greater depth of the meaning of the Cross is made shallow. Our preaching loses poignancy. This presentation requires the Christian witness to grasp the work of God as the Scriptures really unfold. The work of Christ is dynamic and therefore endless. It began in God and would continue until God closes the earth’s time. Therefore, it must keep going into the next phase Christ lead us into – the work of the Kingdom of God. It does not end only with the message of ‘salvation.’ God’s work requires us to go through the present and future human history till the Day of Accounting at the Lord’s Second Coming. This work is about the Kingdom of God. God’s work is dynamic. John’s gospel shows Jesus attesting to this fact as no other gospel. “My Father has been working till now, and I am working”(Jn. 4:17).“The Son can do nothing… can do only what he sees his Father doing, because whatever the Father does the son also does” (5:19, 20 & through 23). “The Father is greater than I” (14:28). There are benefits in greater learning such as this. Acquiring greater strength in personal faith of the believer is a great benefit for witnessing. One could pass the Sunday School curriculum standard, and be confident with some level of efficiency; however that is very limited. Deeper study builds the spiritual foundation for greater relationship with God because of the greater understanding of Him and His work. With such richness of knowledge and ability to see things as they should be seen, a Christian can become a confident and productive witness for God’s work, and for Christ, the Son of God. With this strength, one can be a good witness within the limits of his Sunday school and church teachings. We must say this: Simple knowledge of and faith in Christ sometimes may help; that is when the customer is friendly. This certainly works on those who are anxious about their own ‘salvation.’ However, for those who are intellectual and deeply religious seeking opportunities to challenge the Christian claim; who come up with claims of their own theologies and age-long traditions based on their sacred texts, it would be necessary to have a deeperknowledge of several matters in the Bible. With such knowledge, their many questions can be addressed sensibly and, if possible, convincingly within the Biblical and theological reasoning. It is this task that we take up through these writings. This study would provide higher level of learning of foundational themes providing reasonable theological approaches to them. On the basis learned here, perceptive students can learn and develop their own norms of reasoning and effective communication abilities. Such well-prepared Christian then could form his preparation to approach a person, make his own statement, with better understanding of the Biblical message and ability to state it. Thus, the Christian witness would gain confidence and could feel prepared to share the message with others. Opportunities to bear witness to the Lord God of Love, and Christ His Son come any time if we were well-prepared and are looking for them. People of other faiths generally walk away from the Christians in the fear that we ‘force’ them to come to Christ, come to church, etc. This, to them, means leaving their own faith. How do we pass this hurdle? Simply put, it is due to the lack of our preparation and skill to talk to people about the Lord God, the Father of all humanity. They are comfortable to talk about God the Creator if we know how to begin there. Christian witnesses never start there. We directly go to the formula of salvation. We need a better vehicle to bring others home to God of Love leading to a greater appreciation of God’s work in Christ. It is with is objective that these essays/studies/articles/treatises come to you for study so that every Christian could prepare to become effective God’s witness for Christ as the Bible really calls for. 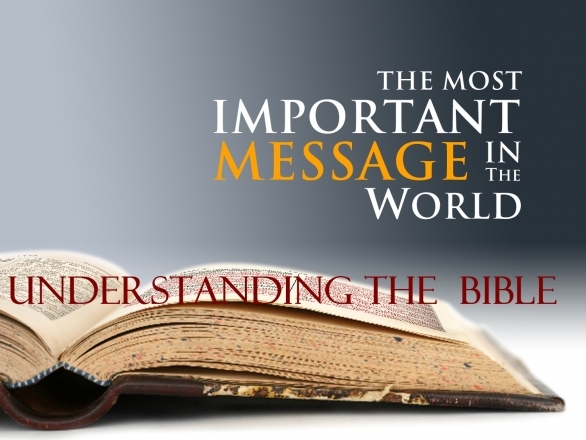 These provisions give learners ability to study the Biblical themes, stories and histories with the clear purpose of finding “God’s continuing message” in the Biblical narrative, and now in the witnessing life of the Body of the Believers – the real Church.